They ought to know. To hear some of the financial world’s smartest folks, today’s buoyant times are numbered. Hey, they’ve been through it before. And they know the odds are in favor of a skid. Scott Minerd, Guggenheim Partners chief investment officer. The market “is on a collision course with disaster” and the catastrophe will hit in late 2019, with stocks losing 40%. Yes, the time will come when the US stock market will plunge. While precisely when is a question, it will happen. But unlike what happened in 2007-2009, there are other forces at work now. Because of USA sanctions, tariffs, and various financial threats, the world is working towards moving away from using the USA dollar as its primary trading currency (eg. see SWIFT end of the USA by 2025 as EU, Russia, China, and Iran take steps? and watch US Dollar being challenged by Gold-Petro-Yuan). The discussions … are a signal that European powers are trying to get serious about demonstrating a greater level of independence from the U.S. as President Donald Trump pursues his “America First” agenda. Maas said that while most of the “very difficult questions on the details” of any payments system are unresolved, at least the alternative of a nuclear escalation in the Middle East has so far been avoided. As well as the U.S. sanctions against Iran, action taken against China, Russia and Turkey will also damage European business, he added. The EU no longer wishes to be a ‘vassal’ state under the USA. The Bible shows that Europe will rise up and dominate world trade, for a time (Revelation 17-18). As I have written before, there is a price to pay for US sanctions and they do affect the dollar. A recent headline was “Is Trump Pushing Germany to Russia?” There have been comments by German and Russian leaders that they have aligned interests that Donald Trump opposes and need to take financial, military, and other steps to assist Europe. Russia and the EU (European Union) still support the Iran nuclear deal, Paris Climate accords, and the World Trade Organization, despite Donald Trump’s actions against them. Have there been comments to replace the USA’s SWIFT system by the Russians and Germans? What is Russia’s MIR payment system? What about talks for the EU to have trade and other arrangements with the EAEU (Eurasian Economic Union)? Did the old Radio Church of God foretell of the development of a Russian and German plan to eliminate the USA? Has Russia indicated that it wants Alaska back? Is the giving of USA territories to Russia by a coming European leader consistent with a prophecy in the Book of Daniel? Here is a link to our video: Is Donald Trump pushing Europe to Russia? Russian Prime Minister Dmitry Medvedev said new US sanctions would be a declaration of economic war. Iran, North Korea, China, Europe, and Turkey are also upset about USA sanctions and tariffs. A Turk asserted “Somebody must find a solution and stop the USA.” The BRICS nations see US sanctions and tariffs as helpful to their objectives to trade without the USA. Are “unintended consequences” of USA policies threatening the current Anglo-American world order and leading to a New World Order? What has ‘Lord’ Jacob Rothschild and Russian President Vladimir Putin stated? Does Bible prophecy show that a confederation of Turks, Arabs, and Europeans pose a real threat to the USA and UK? Is the final time of the Gentiles coming? Will it be worse than people imagine? Dr. Thiel addresses these issues and more. Here is a link to our video: US Sanctions and Tariffs leading to New World Order? The USA has been pushing countries away from its currency. Plus, we see nations like China, Brazil, and many in Europe and elsewhere who want to trade with those that the USA wants to sanction. US President Trump’s tough talk in various areas (like trade and banking sanctions) are encouraging the EU, China, Russia, Pakistan, Iran, Turkey, North Korea, Venezuela, and others to take steps to protect themselves from aspects of his threats. Michael Krieger may well be right that we could have a world with what would be considered as an entirely different structure by 2025. The end of humanity’s 6000 years is getting closer and it will end with the final time of the Gentiles. This rise coincides with the end of the Anglo-American world order. 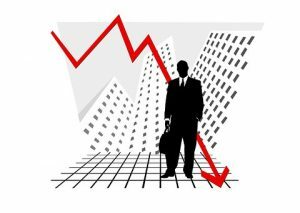 While stock prices rise and fall, what will happen to the economy of the USA will be much worse than what happened in 2007-2009. And I am not talking about what may happen in 2019-2020, but later than that. We are getting closer to the great tribulation (Matthew 24:21; see also When Will the Great Tribulation Begin?) and final time of the Gentiles (Luke 21:24) that Jesus spoke of. The Anglo-American dominated world order will end, and Bible prophecy shows that financial reasons will be part of the cause (cf. Habakkuk 2:6-8; Revelation 17-18). This entry was posted on Friday, August 31st, 2018 at 3:00 pm	and is filed under Prophecy.